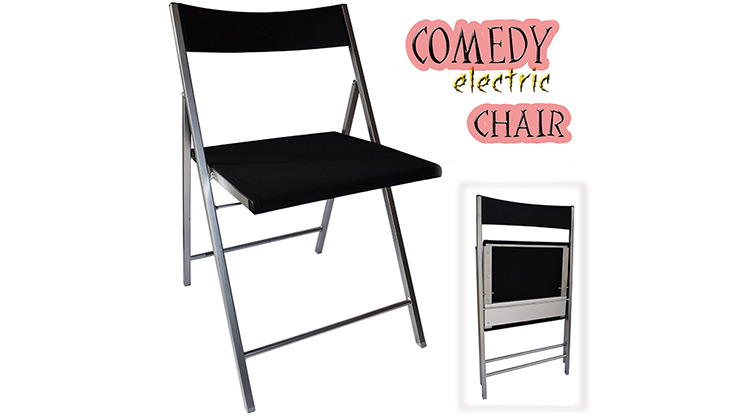 With this chair (the lightest and thinnest on the market), you can add a humorous touch to your performances. It can be used as a normal chair or to create funny moments. At your command, the chair generates a slight, harmless shock - annoying enough that the person sitting on it typically jumps off of it. It is powered by two standard batteries and can be controlled by a well-hidden switch. The shock is activated by a small remote control. Not suitable for minors. Shock is slight, however please consider potential medical conditions when choosing participants. Batteries and remote control included.